In light of the current understanding of fault seal analysis and factors that contribute to fault seal/leakage and propagation, this study seeks to compare the stress and controls on fault formation and propagation in two tectonically different areas of the northern Australian Plate margin: the northern Sumatra margin (active subduction) and the Australian North West Shelf, specifically the Carnarvon Basin (passive margin). 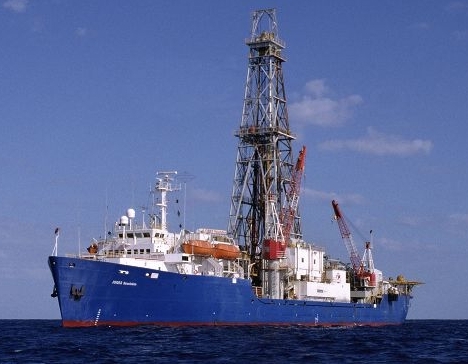 The study is part of an International Ocean Drilling Program (IODP) expedition 362 to the Sumatra margin which aims to understand the nature of seismogenesis in North Sumatra through sampling material from the accretionary prism of the Sumatra subduction zone. Principal to the motivation of this expedition is the 2004 Mw 9.2 earthquake and tsunami struck North Sumatra and the Andaman-Nicobar Islands devastating coastal communities around the Indian Ocean. This earthquake, followed by Tohoku-Oki in 2011, showed unexpectedly shallow megathrust slip, and in the case of North Sumatra, was focused beneath the distinctive plateau of the accretionary prism. The investigation aims to contribute to our understanding of earthquake and faulting mechanisms that are pertinent to the broader community as well as industries ranging from petroleum exploration and CO2 sequestration to geothermal energy exploitation.